In 1856 Prof. Hamilton Smith of Ohio patented a photographic method that came to be known as tintype. These one-of-a-kind images are made directly on a thin iron plate that has been coated with chemicals, exposed in a camera while still wet, and developed on the spot. Because the plates are iron, not tin, the more proper term is ferrotype, but the photographs have been commonly called tintypes from the beginning. They are not quite as sharp an image as a daguerreotype, it does not have the crisp details. Also the results were often low quality. 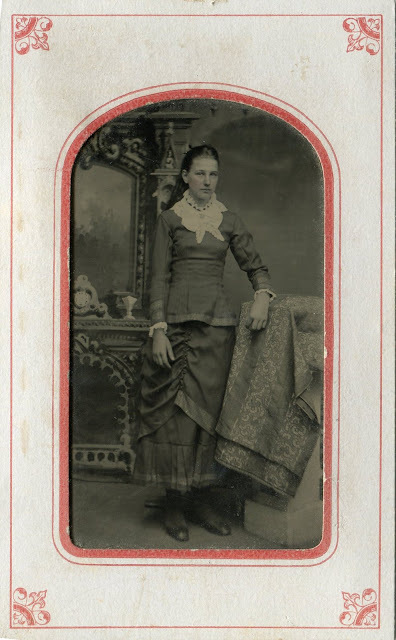 Cheaper and easier to produce, the tintype allowed more people to have their portraits quickly taken. They became very popular and remained so into the 20th century until newer processes that could produce multiple images took over.